The current list of best selling mirrorless cameras is a mix of tried and tested systems that have been around for a while and a few high-end systems that would be of interest even pro photographers. The current mirrorless cameras “top selling list” is dominated by the micro four-thirds segment. Panasonic and Sony are two names that dominate this segment. 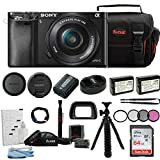 It is needless to say that the Sony Alpha Mirrorless Camera Series and the Panasonic Lumix Series are dominating the best selling cameras in this segment. Canon and Nikon too, not willing to be left behind, have launched their own mirrorless systems. However, they are a far cry from the best selling mirrorless cameras offered by Sony and Panasonic. FEATURES: High resolution with 24MP APS-C sensor and the world's fastest auto focus with 179 AF points and 11FPS. World's first 5-axis in-body image stabilization in a full-frame camera. Fast hybrid AF with phase-detection - 30% faster than a7. Compatible with Sony's E-mount lenses, and others with adaptors. What sensor size do I need? Unlike the two dominating sensor sizes in the DSLR segment (see: best-selling DSLR cameras), the mirrorless segment has three major sensor sizes to choose from. There is yet another size that is also popular. The 1″ sensor. Currently, Nikon makes a series of mirrorless systems that use the 1″ sensor size. From our DSLR Camera Buying Guide, we know about the full-frame and the APS-C sizes. Micro-four-thirds system is a size smaller than APS-C, but larger than the point & shoot sensor size – 1/2.3″. The sensor that you need would depend on a number of factors. The most important thing to note is that larger the sensor size, more is its capacity to collect light. And that is always a good thing. The Olympus OM-D EM-5 Mark II at from $799.00 (129 Reviews) is a great all around camera. It should be ideal for enthusiasts and beginners alike. 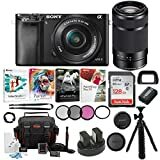 …and then we have the Sony Alpha a7S II at from $2,198.00 (61 Reviews), a fantastic camera by most definitions (this remains as the top choice for us). Finally, we have the surprising presence of the Hasselblad X1D-50c 4116 edition paired with the 45mm lens kit. This is an extremely pricey mirrorless system (it costs $12,074.60) but one that comes with the mouthwatering promise of a 50-megapixel medium format sensor and 16-bit color plus 14-stops of dynamic range. Overall an eclectic collection of mirrorless systems to choose from. Apart from the sensor sizes and their relative advantages, there is one more thing that needs to be considered: depth of field. Larger the sensor, easier it is to capture a shallow depth of field. There are other factors involved in this as well. Like, multiplying focal length with the crop factor to arrive at the effective focal length and multiplying the aperture with the crop factor to arrive at the effective aperture value. If you are using a full-frame (mirrorless) camera, you can easily create a shallow depth of field standing where you are than when using an APS-C (mirrorless) camera or for that matter an MFT (mirrorless) camera. You can only replicate the same depth of field (and the same exposure) if you use a comparable lens and a comparable aperture. Thus, to get the same depth of field as a lens mounted on a 35mm system with a specific aperture, you have to get a lens that is the same as the focal length of the 35mm lens divided by the crop factor, and use an aperture that is the same as the aperture of the 35mm lens divided by the crop factor. A thing about mirrorless systems is the lack of an optical viewfinder. Optical viewfinders are powered by a pentaprism and the flipping mirror that sits in front of the sensor. When the mirror is in its resting position, light bounces off of it and gets routed through the pentaprism and you get to see what the lens sees at the back of the viewfinder. With mirrorless systems, the view is what the sensor is about to capture. There are both advantages and disadvantages to this system. Let’s start with the disadvantages first. The most important disadvantage is that you get a slight lag between any changes in the scene and what the viewfinder shows you. The lag is because the image is electronically projected after it has been captured by the sensor and then transmitted through the circuitry. This lag was pronounced about a decade back but now thanks to advances in technology the lag is minimal. The other disadvantage is that electronic viewfinders consume power. Just like the rear LCD screen (but not necessarily in the same quantity as the rear LCD screen) electronic viewfinders will consume an additional amount of power compared to optical viewfinders (which don’t require power to operate). Mirrorless systems, when they first camera about were a little disadvantaged because of the lack of a sufficient number of lens choices. That initial problem has been overcome now. Now there are a large number of OEM and third-party lenses available for various mirrorless mounts. Mirrorless systems have a major advantage over DSLR systems. And that advantage comes from the fact that they don’t have a flapping mirror inside them. Because of that, they have a small flange distance. That allows legacy lenses from other mount systems, lenses which have been designed for cameras with a large flange distance, to be used on MFT systems with the help of an adapter. There is a downside to using non-proprietary and legacy lenses from other systems. You won’t have auto-focusing capabilities at all times. So please keep that in mind when using these lenses. In some case, as there is no mechanical control between the lens and the lens mount, you won’t even have the ability to change aperture. Thus, lenses like the Nikon 50mm f/1.8 G would struggle on an MFT system. But a 50mmf/1.8 D which has a body based aperture ring will work just fine. The MFT system is about half the size of the full-frame sensor which is why when you mount a full-frame lens on an MFT camera the focal length effectively becomes double of what it actually is. The two major players in this segment Olympus and Panasonic use the same MFT lens mount. The advantage in that is that their lenses are inter-usable. The only problem being not all of Olympus’ cameras work with the concept of lens-based image stabilization. Panasonic, on the other hand, use image stabilization that is lens based. 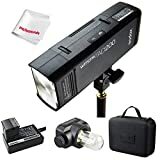 The thing that you have to keep in mind is that if you plan on using an Olympus camera with a stabilized Panasonic lens, you will have to switch off image stabilization either on the lens body or the camera body. Megapixels probably drive half the number of camera sales around the world. Probably even more. It is a general perception that more megapixels are better. I keep telling more megapixels is good for a while. So, an APS-C sensor with an 8-megapixel resolution when compared to an APS-C sensor with 16-megapixel resolution is a definite good development. The later will have a much better image quality. The images will have more details and an overall crispy quality. That said, however, if you increase the resolution to something like 40 (on the same APS-C size), it would be more of a nuisance than anything else. Individual pixels on the sensor will become small and they will jostle for light. This will not make much of a difference when shooting in bright light. But in low light conditions, this will be a big problem and will be a prime factor for noise. My personal opinion is unless you need to print big, no point in going after a 50 megapixel or even a 40-megapixel camera. Choose anything around 20 megapixels and you would be fine. Auto-focusing denotes the process of bringing an image in line with the plane of focus and thereby produce a sharp image on the sensor. This uses tiny focusing motors inside the lens as well as an array of focusing sensors. On mirrorless systems, contrast detection auto-focusing is used. This system is much slower than phase detection systems available on DSLR cameras. But having said that this system is more spot on. It is a matter of reliability over speed. For people who want a fast AF lock, mirrorless systems will appear a tag slower. Having said that, sensor based phase detection auto-focusing systems have begun to appear. They use the same philosophy as regular phase-detection auto-focusing, except that in this case the pixels on the photographic sensor act as phase detection sensors. Some cameras use a hybrid system that incorporates both contrast and phase detection auto-focusing sensors to get a better AF lock. When choosing a mirrorless system try to choose a camera that will remain relevant over the next couple of years at least. Buying a camera with the most advanced auto-focusing system, thus, makes more sense. 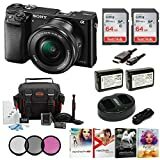 Sony a7R III 42.4MP Full-frame Mirrorless (a top New Release). It shoots 10 frames per seconds (fps). The biggest perceived disadvantage of mirrorless systems, the lack of a mirror does also contribute to a major advantage. The advantage of being a fast continuous shooting speed. Fast continuous shooting means the camera can continue firing one shot after the other with full auto-focusing and sometimes auto exposure. The mirror inside a traditional DSLR puts a physical limitation over the maximum number of frames you can achieve. Mirrorless cameras have no flapping mirror inside them and thus are not limited by any mechanical limitations. This is why mirrorless systems routinely hit high continuous shooting speeds without any issues. 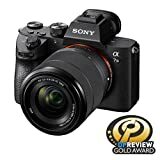 The latest Sony Alpha a7R III at from $2,798.00 (85 Reviews) hits 10 fps RAW frames at full resolution (42.4 megapixel) for a maximum of 76 frames. The Sony Alpha a9 Mirrorless at from $3,998.00 (38 Reviews) takes it to an even insane level of 20 fps for a maximum of 362 JPEGs, or 241 RAW frames. Plus, this camera has an improved electronic shutter which ensures that you never miss anything while the camera is recording. Evidently, a mirrorless is the sort of cameras that you need when you want to shoot fast continuous sporting events, action, and wildlife. The maximum native ISO is relevant for low light shooting. I am not a big fan of shooting with a high ISO number. I prefer the lowest ISO whenever I can. I only raise the ISO when I have absolutely no other option left in hand. Having said that, low light shooting capabilities of the digital sensor has improved over the last few years. So much so that these days some DSLRs and mirrorless systems are being claimed to be ISO invariant. What is ISO invariance? The three main parameters of exposure are aperture, shutter speed and ISO. Technically, though, ISO does not impact the light intake capacity of the sensor. All it does is it boosts the signal. Normally, what photographers do is they prefer to increase the ISO number if the ambient light is too low. This is to ensure that the exposure is good enough and does not need to be tweaked too much during post-processing. It is to be noted that when you push the exposure too much during post-processing noise becomes amplified. In the process, you lose dynamic range in your images. ISO invariant cameras allow you to shoot an image at the lowest ISO and then push it during post-processing without adding any extra noise, than what you would expect when shooting with the right (and higher) ISO number. Therefore, theoretically, an ISO invariant camera would give you the exact same result if you shoot an image at ISO 1600, and shoot the same image at ISO 100 and then push it 4 stops during post-processing (to match the ISO 1600 exposure). In other words an ISO invariant camera has a low ‘noise floor’. This gives you the option to expose for the highlights in the frame, in scenes where there is a lot of difference between the bright and dark areas. Even when you expose for the highlights you can still push the shadows during post-processing and by doing so can get a balanced exposure without using external accessories like an ND filter. However, it is a challenge to get a camera that is truly ISO invariant. There are very few cameras that are 100% ISO invariant. They may be ‘nearly’ ISO invariant but then these two are not the same thing. Some cameras do offer some amount of ISO invariance especially when you shoot at a moderately high ISO. Larger sensors tend to be better in this regard, especially the ones that have a lower resolution, compared to smaller sensors and higher resolution ones. BSI technology powered sensors are even better in this regard. BSI sensors have the wiring on the sensor behind the sensor and that allows the pixels on the surface to have more room for collecting light. What Genre of Photography do you want to do? The question should be more like what is your level of proficiency rather than anything else. There are a number of different mirrorless options. Sensor size is not the only aspect that you need to look at. Neither is always budget the most important parameters for consideration. The Olympus OM-D EM-5 II is one of the best selling mirrorless designs that you can currently buy. This is a beast of a camera on the micro four-thirds format. This camera is good enough for shooting stills and for shooting videos as well. Additionally, if you shoot outdoors quite often, then the weather sealed construction of the OM-D EM-5 II is something that you will enjoy using. That said, if you are not looking for a bunch of features that you are probably not going to use, then opt for a cheaper camera. There are some very good options in the micro four-thirds segment, as well as APS-C segment. 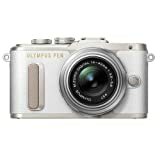 The Olympus Pen – F is a more affordable option compared to the two we just read about. But beyond just being more affordable than the OM-D EM-5 II the Pen – F is a great camera to shoot stills with. It has a similar resolution sensor, similar resolution OLED electronic viewfinder, plus built-in image stabilization and wireless connectivity. One of the top features that has filtered into the domain of digital camera from smartphones is connectivity. Photographers are no longer content with just shooting great images. They need to be able to share that too instantaneously. I have detailed some of my thoughts on this on the DSLR buying guide. But still, it is important to mention here that connectivity is a big thing. The best selling mirrorless cameras will have both Bluetooth and Wi-Fi built-in. There are some camera systems that also come with NFC. That makes it easier to pair a camera with a compatible smartphone/tablet. An example is the latest Sony Alpha a7R III. So, Which Camera Should I Go For? The simple thing about photography gear is the more money you are willing to put in, the more technically advanced piece of equipment you would get in your hands. But just because you can afford to buy the latest and greatest piece of equipment does not mean you should. Ideally, you should decide what your immediate requirements are and the requirements would be about a year from now on. So, don’t always buy the cheapest equipment, which might be something that is on the verge of being archived. Buy something that is going to be relevant for the next two years. So, how much should you spend? It depends on what you intend to shoot, your budget and how serious you are. if you are looking for something you would probably use on the weekends and on family unions, then don’t bother buying something like the Olympus OM-D EM-1 it would be a waste of money and you would probably end up ruing your decision after a few months. Instead, go for something like the Olympus PEN E-PL8. This is also a micro four-thirds system camera. It has a 16.1 megapixel resolution, 8.5 fps still shooting speed, built-in Wi-Fi and full HD video recording. The camera also has a 3-axis body based image stabilization system. For an enthusiast who is looking for something better than that, and something that will be relevant for the next few years, the Olympus OM-D EM-5 Mark II would be smart choice. This camera has a 16 megapixel micro four-thirds sensor, shoots at a continuous shooting speed of 10 fps, has built-in Wi-Fi and full HD video capabilities. Also the camera body comes with a 5-axis built-in image stabilization system. To top it all this is an all-weather construction which is perfect for the purpose of shooting in bad weather. To make the decision making easier, the OM-D EM-5 Mark II remains one of the best selling mirrorless cameras for a while. If you already own a professional camera and looking to expand your kit by including a capable mirrorless, then look at something like the OM-D EM-1 Mark II or even the newly launched Sony Alpha a7R III. If you prefer shooting videos, the Sony alpha a7S II is one camera that you could look into. This full-frame mirrorless comes with a 12.2-megapixel EXMOR CMOS sensor. It shoots 4K / UHD videos internally. Along with that, it has a host of other features designed for the amateur videographer. The system also has built-in Wi-Fi and NFC connectivity for seamless transfer of videos and stills.